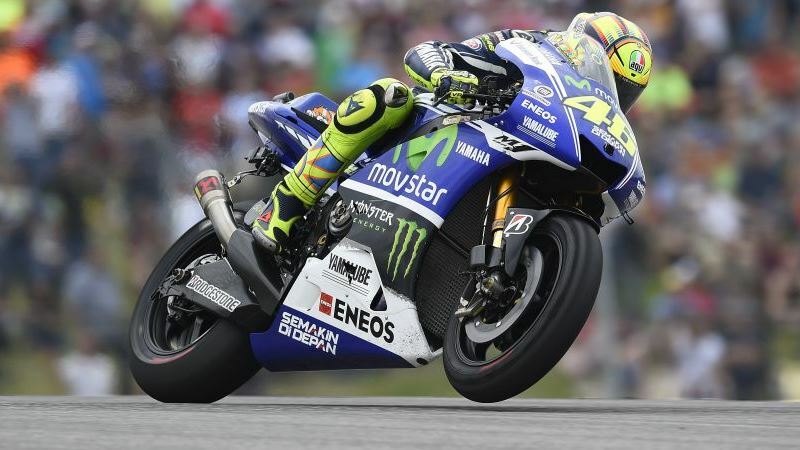 2014 sees MotoGP return to South America for the first time since 2004, as Argentina’s AutÃ³dromo Termas de RÃ­o Hondo hosts round three of the season. Measuring 4806 metres in length, the Termas de RÃ­o Hondo circuit is characterised by numerous fast, long-radius corners that are expected to result in one of the highest average speeds of the year. The high speeds, hard braking zones and high camber angles of some corners results in this circuit being one of the more severe for tyres on the MotoGP calendar. The overall severity of the AutÃ³dromo Termas de RÃ­o Hondo means the rear tyre allocation features rubber compounds from the harder end of the scale. Rear slick tyre options for the Factory Honda and Yamaha riders are the medium and hard compound rear slick, while the Ducati and open-class riders have access to the soft and medium compound rear slicks. As the Rio Termas Hondo circuit is a new addition to the World Championship, Bridgestone’s dataset for this circuit is limited, while a wide range of weather conditions could also be encountered. As a result, a special front slick tyre allocation will be offered for this weekend’s Argentina Grand Prix to ensure riders have enough options to deal with the potentially variable track conditions. The riders will be able to choose from three front slick options – the soft, medium and hard compound front slicks – instead of the usual two front options offered per race weekend. “During the tests carried out last year on the Termas de Rio Hondo circuit I could immediately appreciate some very technical parts of the track: I like it a lot, because it’s characterized by many fast corners that suits my riding style. However, it should be said that last year we were able to take advantage of only one day of testing, because we had rain on the second day: therefore we haven’t been able to work on the bike set-up. I also remember a very dirty track, as it had just been finished, anyway I believe that it will be okay for the race. In this Grand Prix our priority is to finish the race without taking risks: after the first two races we are still at zero points, so this time we absolutely need to collect some points”. “The fact that the track of Termas de Rio Hondo is unknown to anyone – apart from the few riders who carried out the tests last year – I think it will make things a bit easier for me, because we will all start the weekend on the same level. In addition, I enjoy a lot riding on a new track: it’s always an interesting challenge trying to be fast on a new circuit, it’s a new motivation. I look forward to start the first free practice, to see how the bike works on this track”.